When caller ID was introduced, the world was revolutionized. We no longer had to pick up the phone to know who was calling. We’ve come a long way since then. Now, customers expect you to know why they’re calling, give them instant answers and quickly solve any issues they have. This can be a feat for any business, but luckily there’s a solution. Here are three ways call tracking can help your business succeed. When it comes to reducing call handling times, getting the caller off the line ASAP isn’t the goal. After all, they want to know that you can meet their needs. Instead, focus on simplifying processes like looking up caller information, taking journal notes about the call and recording pertinent caller information. If you want to reduce call handling times without sacrificing customer service, try a Windows desktop application such as Callbright Interactive, which pulls up information about your calls in real time. It’ll allow you to monitor inbound and outbound calls, receive call notifications, listen to call recordings and update lead information directly from your desktop. 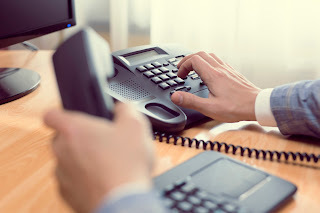 It can take a while to make sales and marketing calls to your customers and prospects, especially when you consider the time it takes to dial the number, wait for the line to connect and slip in short breaks between calls. In a single hour, an agent will only spend an average of 55-60 percent actually talking to a customer. Save time, energy and money by sending prerecorded custom messages to your customers with our Broadcast Message Manager. Ever lost an important sale because you overlooked a web lead that got lost in your inbox? Ouch. Keeping track of those leads can be difficult, but it’s important because the longer a prospect waits to hear back from a sales rep, the more likely they are to take their business elsewhere. Implement an online-to-offline conversion tool like Lead Chaser that uses text-to-speech technology to convert the contents of the form to a recording. The agent then has the option to immediately call the prospect without even checking their email first! How will you use call tracking to enhance your business? Let us know in the comments!